Most schools and universities display flags and banners throughout the campus. 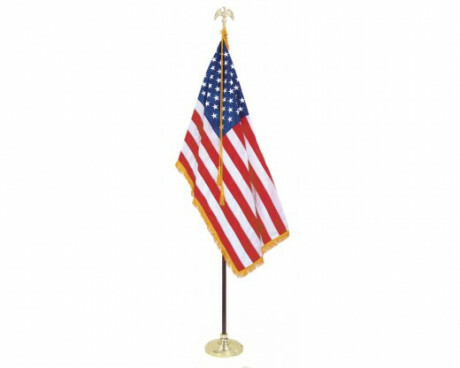 Nearly every school has an indoor American flag presentation set in the auditorium and an American flag on a flagpole outside. Most even have evacuation plans for students to meet at the flagpole in the event of an emergency. 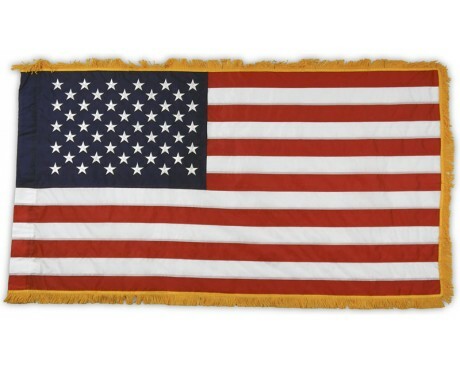 In addition to the American and state flags, many colleges and high schools have a custom school flag with their university seal or mascot and school colors displayed. 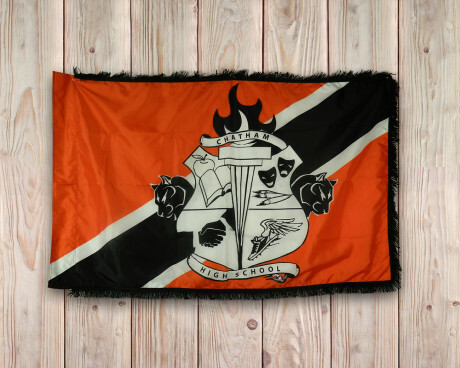 If you are looking to design a new school flag, please contact us online or give us a call at 1-888-697-3524 for pricing information and assistance with design. Vinyl banners are a durable, cost effective outdoor signage option for schools and athletics. Your vinyl banner can be made in any size to fit the side of your building, the chain link fence or a smaller version for traveling teams to take on the road. Full color, digitally printed banners will make you design pop and your message look great. Avenue banners are a great way to decorate your parking lots and celebrate events or achievements. Welcome incoming freshmen, celebrate a big victory or announce your centennial celebrations. 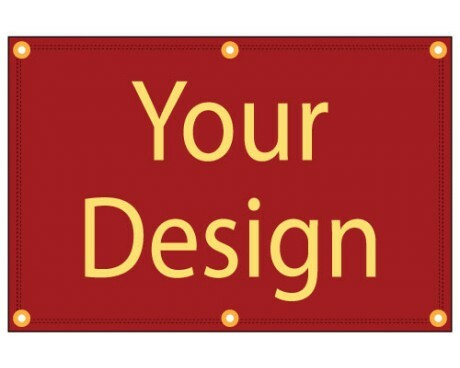 Browse our selection of custom avenue banners for ideas and inspiration! 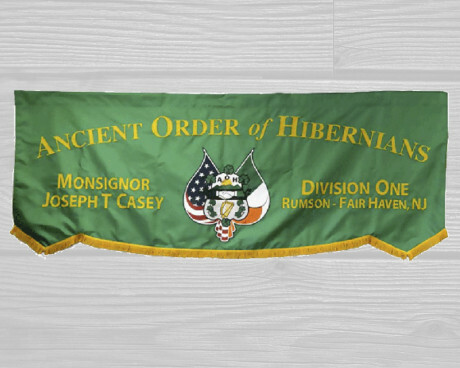 The most common type of banner used during commencement ceremonies is the gonfalon. 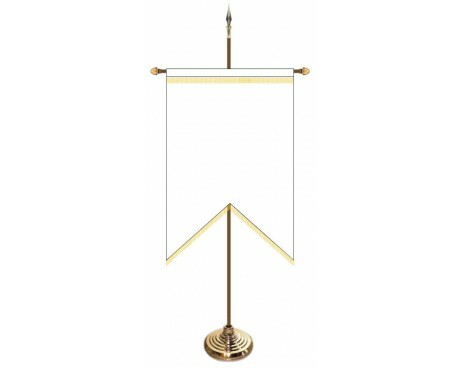 It's a vertical banner that is carried in a procession with a combination of horizontal and vertical poles. Marching bands typically use a lead banner to announce their school affiliation and colorful blanks flag for twirling. 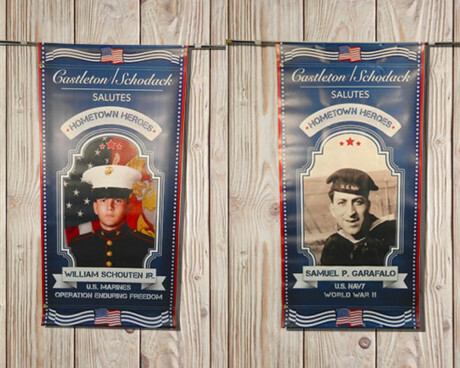 Decorative school themed banners are popular house accents on the homes of teachers each fall. 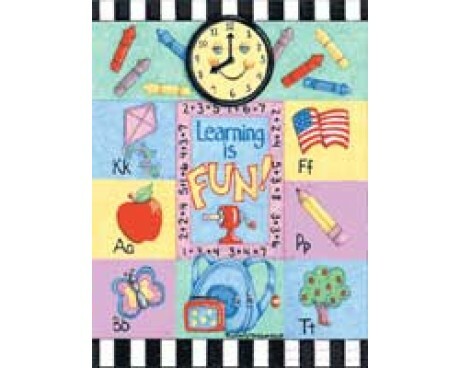 Celebrate schools days and the fun of learning at home with our 'Learning is Fun' house banner. 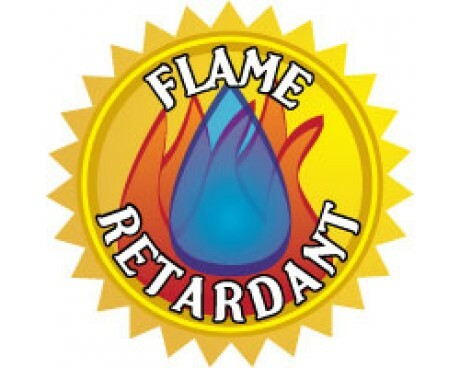 Need School Flags and Banners? Gettysburg Flag Works Can Help! 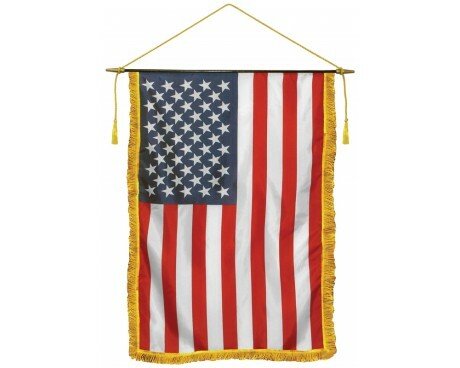 At Gettysburg Flag Works, we specialize in making your flags and banners shine. If you want your school or educational organization to truly stand out from the crowd, you've come to the right place. We are experts in designing and crafting banners and flags for elementary schools, middle schools, high schools, colleges and universities, educational groups and organizations, and more. 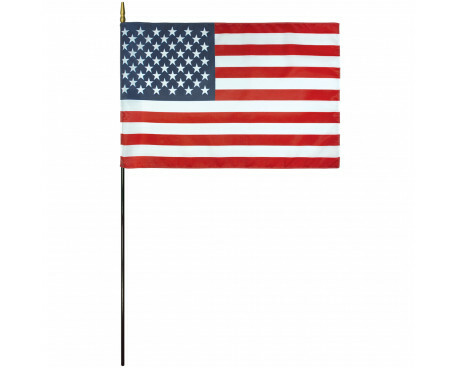 Whether you're looking for the standard flags needed for educational institutions or you're hoping to create custom school flags and banners to capture the spirit of your school or university, we can help! 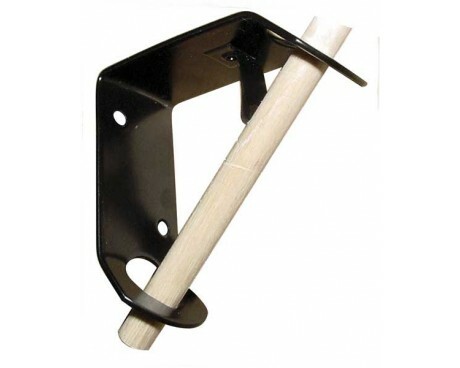 Contact us online or give us a call at 1-888-697-3524 and let us know how we can assist you!